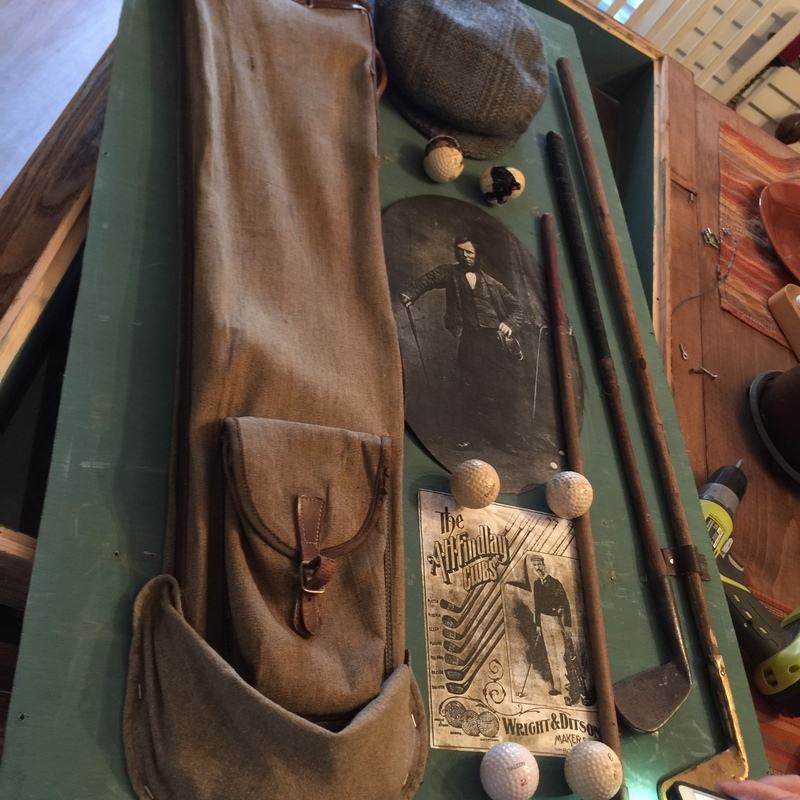 A group of golf related items mounted for display, including golf balls, putter, reproduction photos or xerox photocopies. Such "collection" compilations were manufactured in the 1990s, usually in a display case. The individual parts of the "collection" are usually only of low or decorative value. The estimate i based on similar offered or sold at auction.